AMAC Customs puts their own twist on an Air Jordan 4 BAPE Custom that was designed for one of their clients. Using the Air Jordan 4 “Oreo” as the base. This Air Jordan 4 Custom features a Black tumbled leather upper with Blue BAPE camouflage wrapping around the toe cap. They’ve replaced the normal Black air hole panel in the forefoot with a zoomed in BAPE logo. 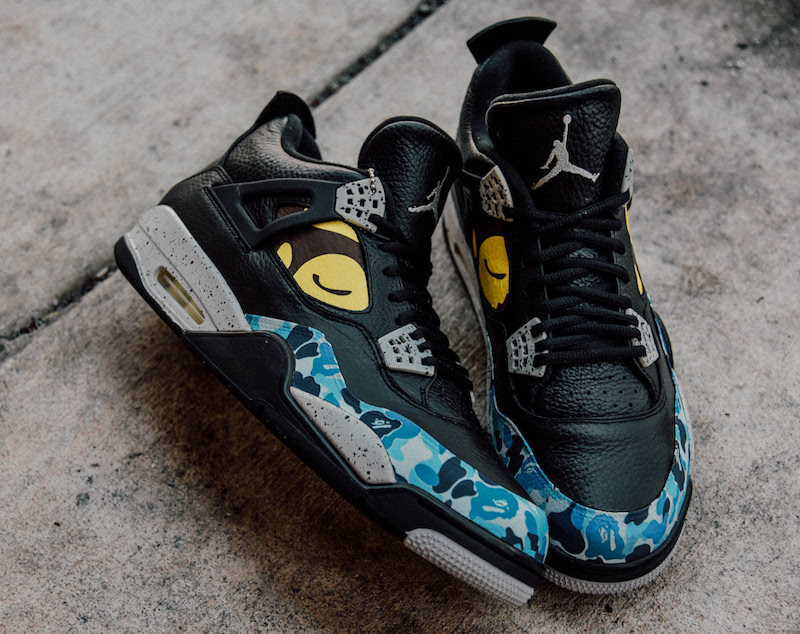 Take a closer look at this BAPE Air Jordan 4 Custom below and let us know what you guys think in the comments section. For those interested in getting any word done by AMAC Customs, you can contact them via email at [email protected] or through their website.